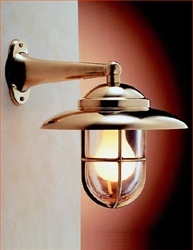 Solid brass wall fixture with glass globe and protective grille. Suitable for indoor or outdoor use. PLEASE NOTE: one of the last two fixtures has a slight casting blemish on the top side of the canopy near the outside edge. 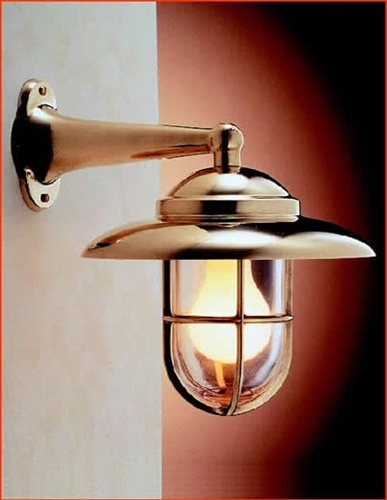 It is not unsightly and probably not noticable, especially if the fixture is allowed to "patina." I will be happy to send a digital picture of the blemish; please contact me at doug@bulbwizards.com.